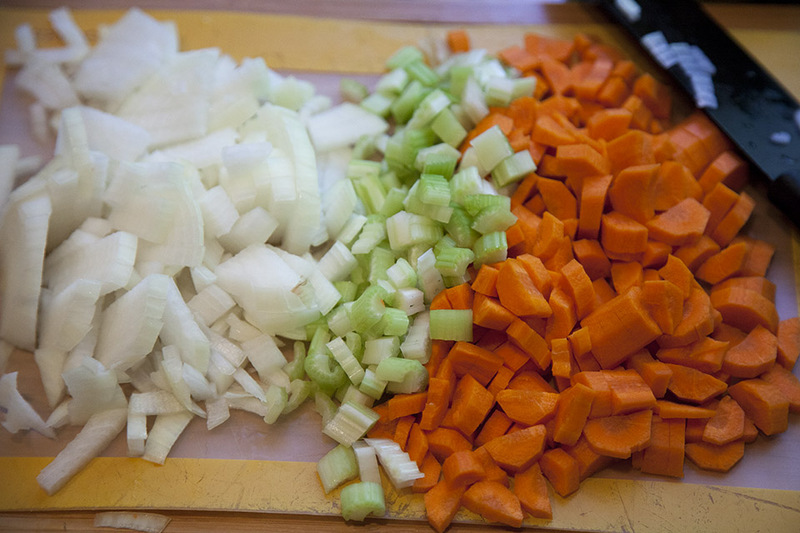 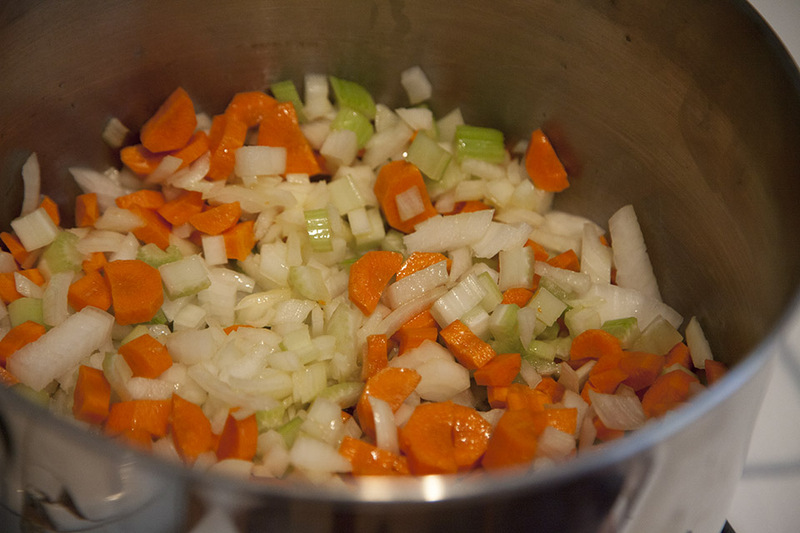 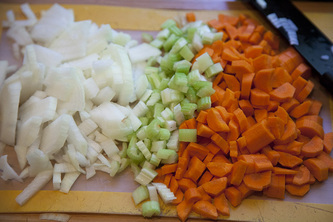 In a large stockpot, heat the oil and, when ready, add carrots, celery, onion and sauté on medium heat for about 10 minutes. 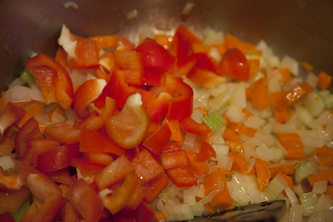 Add bell pepper and stir. 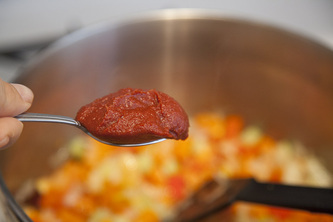 Add tomato paste and sauté it with vegetables for 2-3 minutes, stirring frequently, until the paste caramelizes and turns deep crimson. 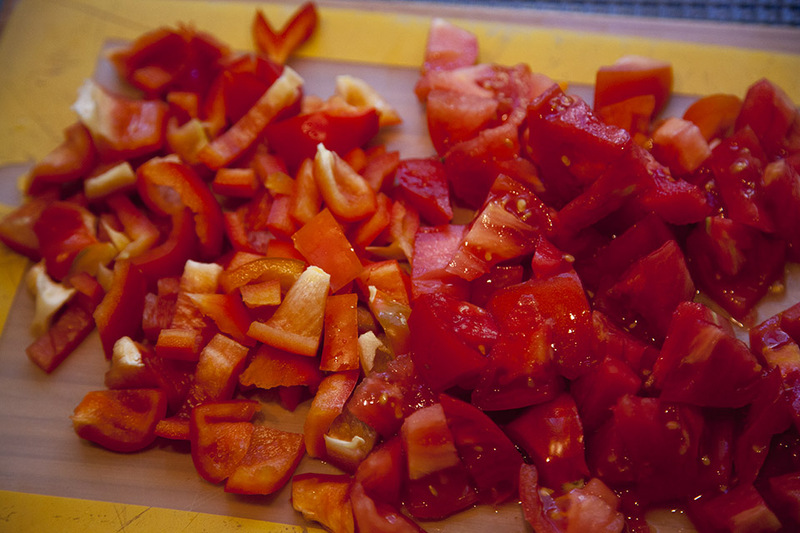 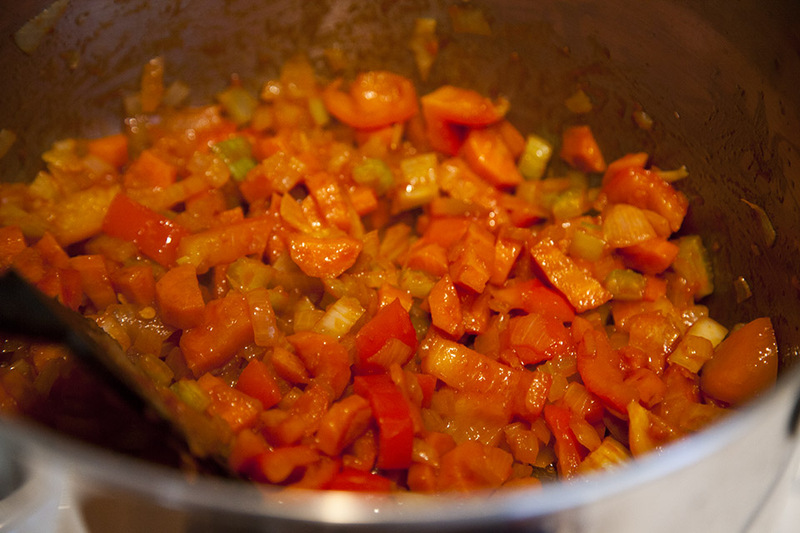 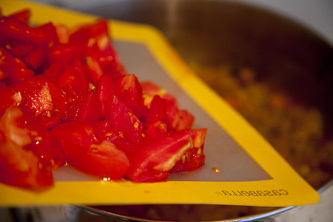 Caramelization will bring out sweetness of tomatoes in the tomato paste and will rid it off a strong acidic flavor. 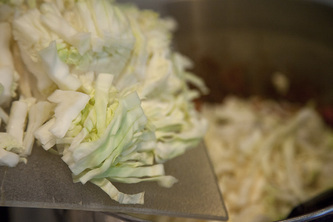 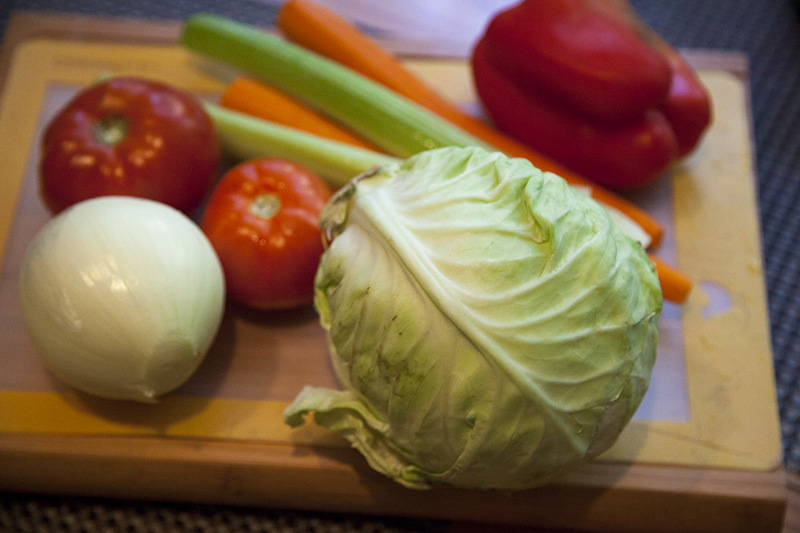 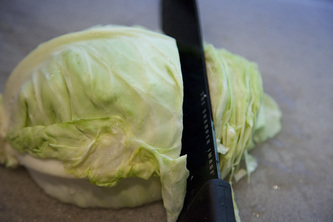 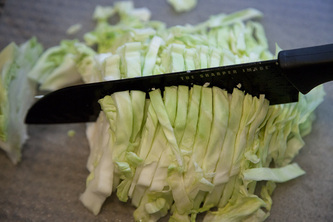 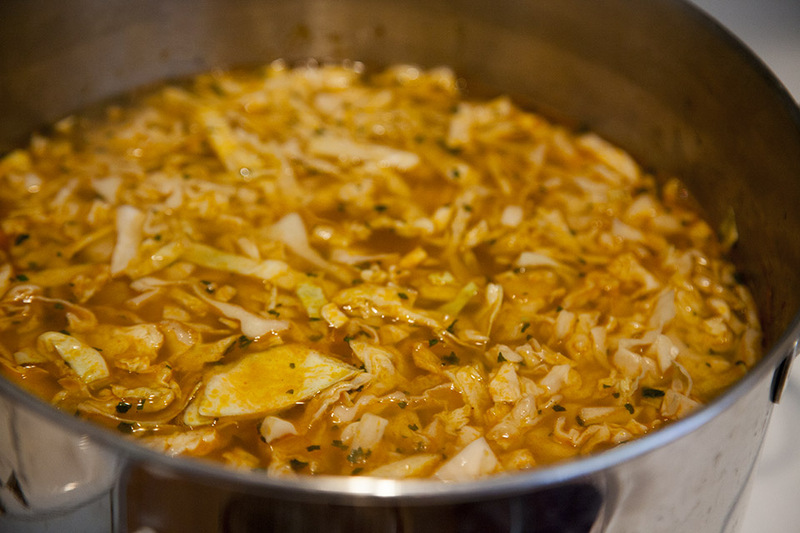 Add cabbage, dried cilantro, salt, pepper and water. 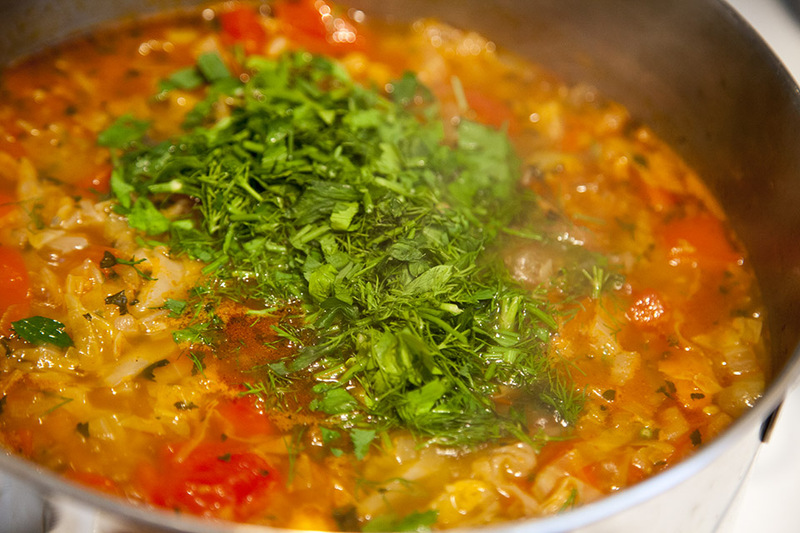 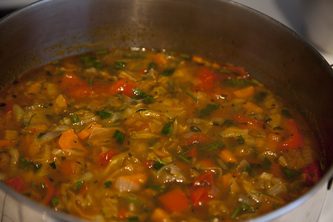 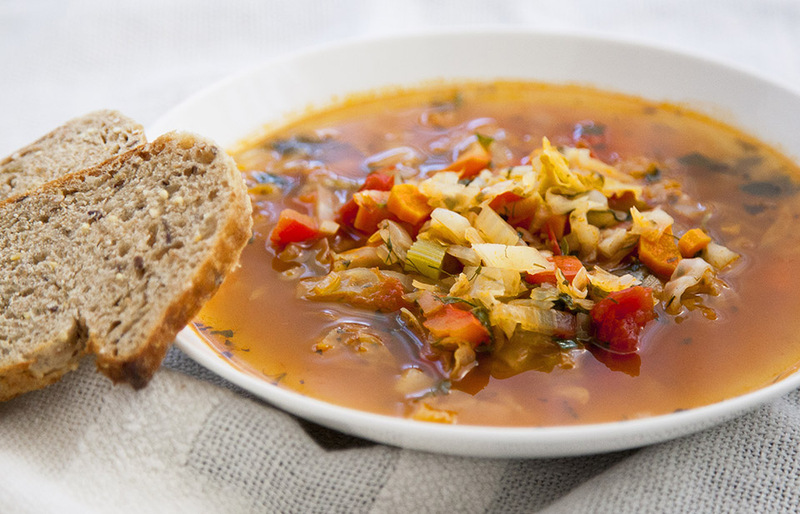 Bring soup to a boil and simmer for 15-20 minutes. Add tomatoes and cook for the final 10 minutes.